Industry leaders in inventory, globalized procurement and cost control solutions for hospitality. Since its inception in 1990, Check has led the world in developing supply chain management and procurement and inventory software solutions for the global hospitality industry. 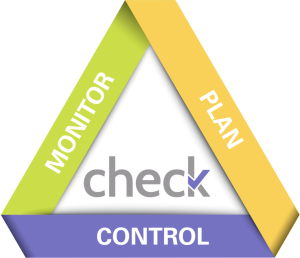 Whether it is meeting the demands of hierarchical organizations, large F&B environments, remote locations or centralized/distributed operations, Check has the depth and scope to support a multitude of business requirements. As technology surged ahead in the early 90s, hospitality groups began to recognise the need for a more efficient, less costly method of procurement and an easier pathway to supplier collaboration. The Check platform was developed to address this need. Check systems support a wide range of individual and group enterprises across multiple locations worldwide. The systems contain a singular platform for purchasing which includes mandatory components to ensure consistency and accuracy are maintained. Via an extensive global network, and working in conjunction with channel partners, Check delivers implementation, consultation, project management, training and technical support to all parts of the globe.